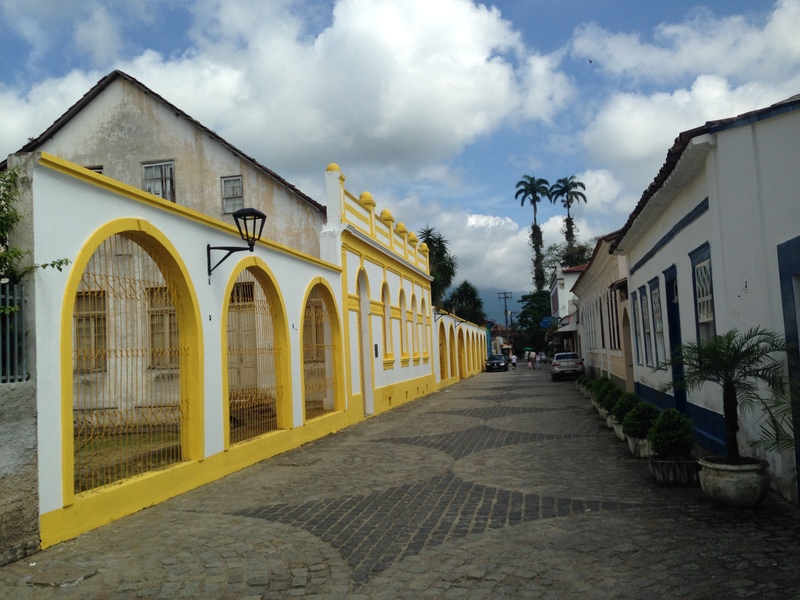 One Saturday while I staying in Curitiba, a couple friends and I decided to take a day trip out to the coastal region of Paraná to explore some of the colonial towns there. 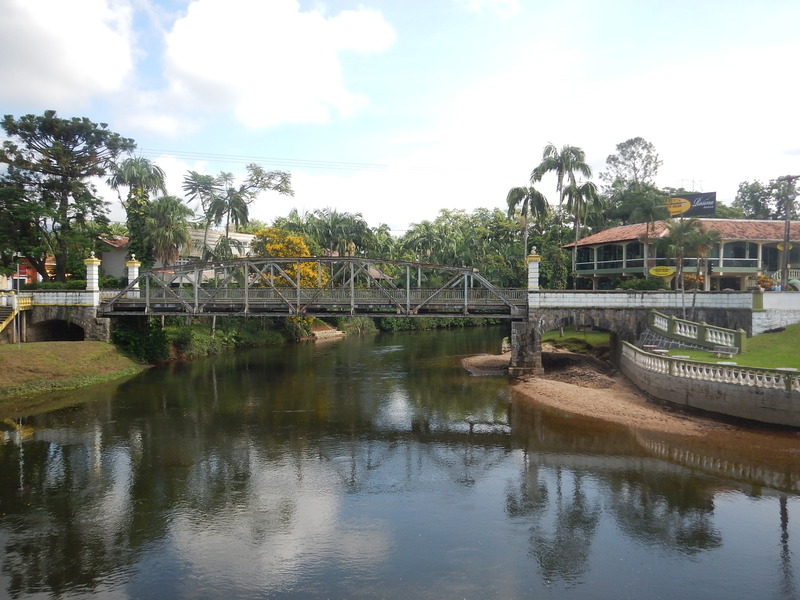 We first took a bus ride to Morretes, which is about 68 kilometers from Curitiba. 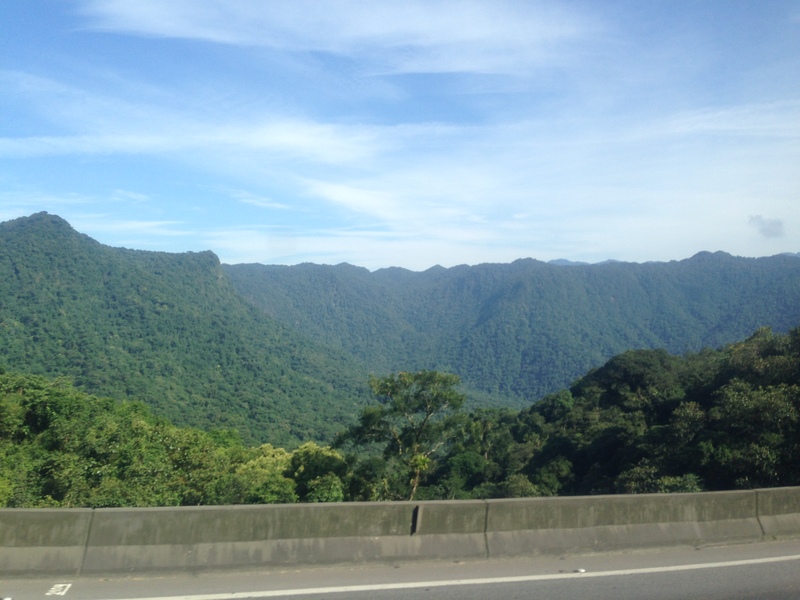 The highway passes through a verdant mountain range near the coast including a high waterfall. You can also reach Morretes (during the week) or Paranaguá (on weekends) on the Serra Verde Express, a tourist train (one of the few passenger trains in Brazil actually) which traverses the mountain range. Once arriving in this region, I noticed that it was quite a bit hotter than Curitiba, which sits at a much higher altitude. Morretes was laid out in 1721 and officially founded in 1733. The town became an important trading stop for travelers along the Rio Nhundiaquara, particularly for yerba mate in the early nineteenth century. The town lost prominence after the construction of the railroad between Curitiba and Paranaguá in 1885. 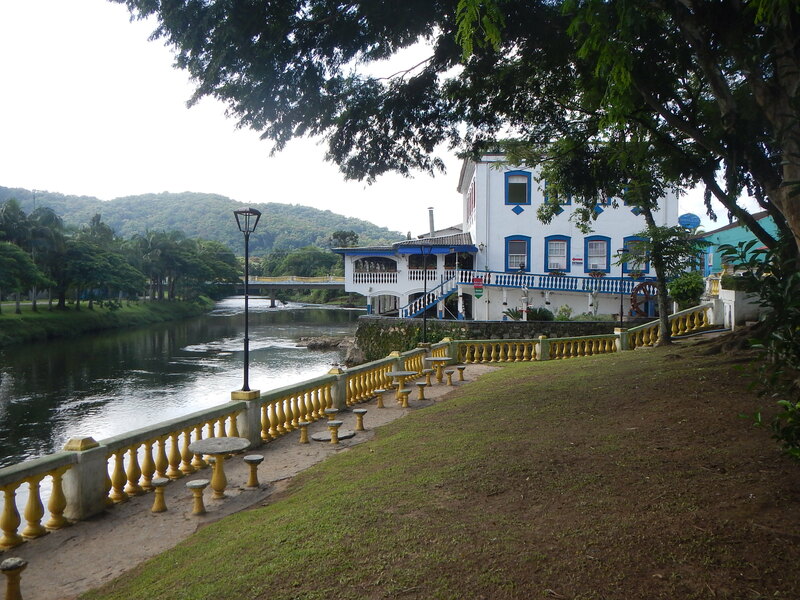 This sleepy town has some beautiful old buildings along cobblestone streets and tree-shaded parks along the banks of the Nhundiaquara. Views from the old bridges across the river offer exquisite glimpses at this charming town. Morretes has a number of old churches dating back to the eighteenth and nineteenth centuries. The Igreja Matriz de Nossa Senhora do Porto (pictured below) was built in 1850 and sits at the end of the Rua das Flores, a cobblestone walkway lined with ancient buildings. We covered most of the ground in Morretes in a short period of time, so we decided to take a bus to visit Paranaguá as well. Paranaguá is a port city situated on the Rio Itiberê. 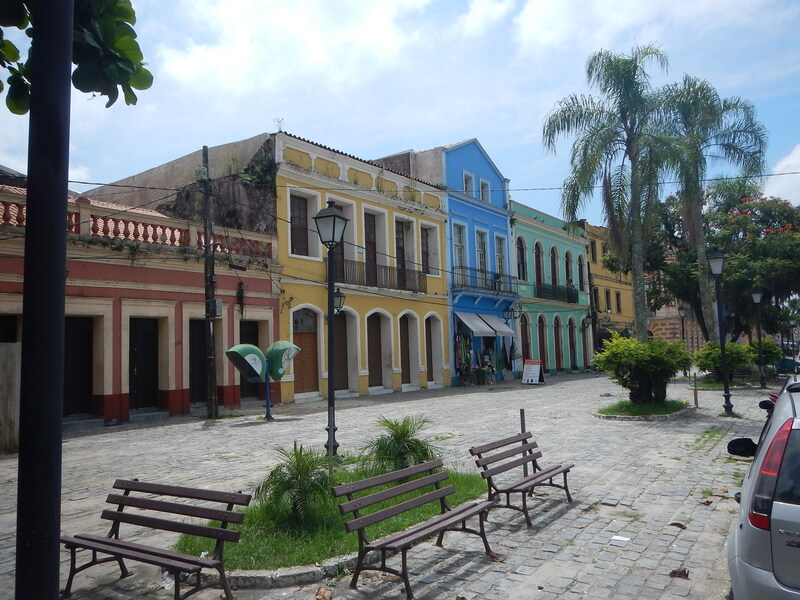 Founded in 1648, it is the oldest city in Paraná. The creation of the railroad in 1885 contributed strongly to the city’s growth. 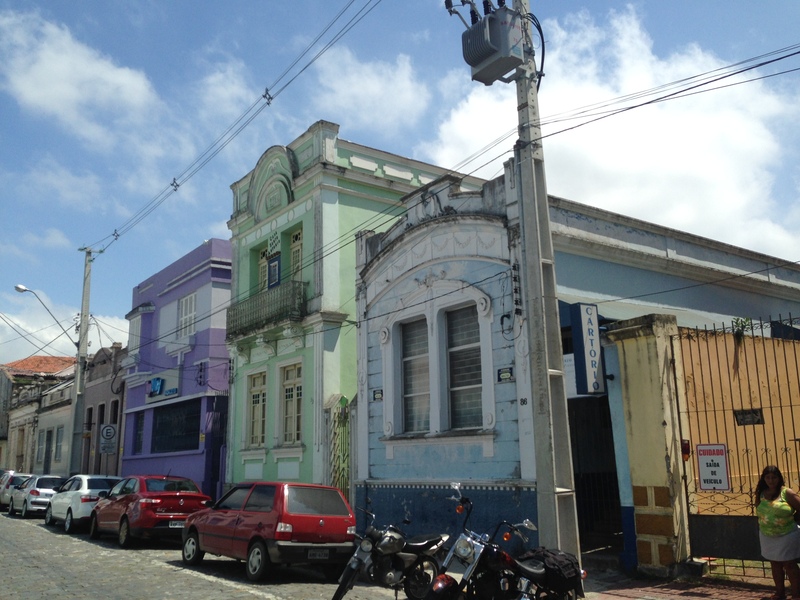 Paranaguá is a lot larger than Morretes, but with even more colorful old buildings, some in dire need of a loving restoration. 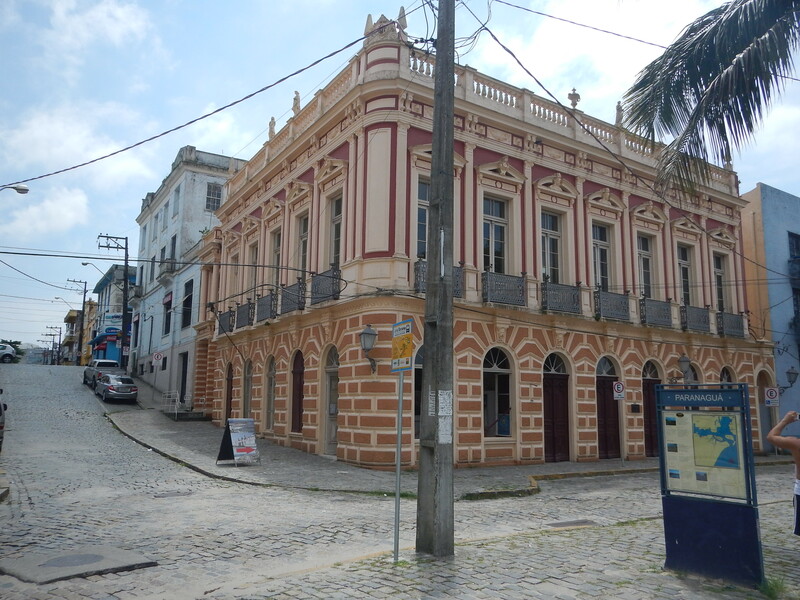 Most of these historic buildings line Rua General Carneiro and Rua XV de Novembro close to the banks of the river. 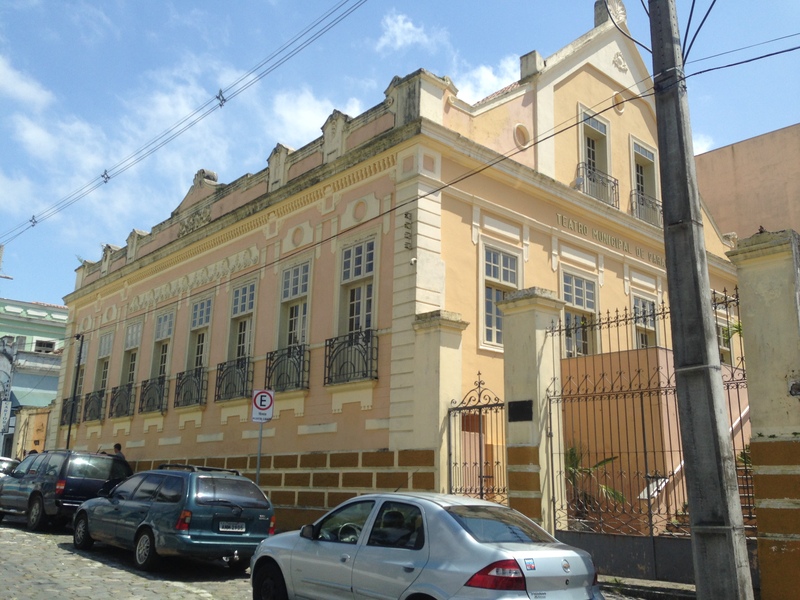 Some architectural highlights include the Mercado Municipal do Cafê (coffee market), Mercado do Artestanato (artisan market), the Casa Crecy, and the Cine Teatro Professora Rachel Costa. After exploring the city streets, we stopped for a buffet lunch at Danubio Azul, which has impressive views of the river. 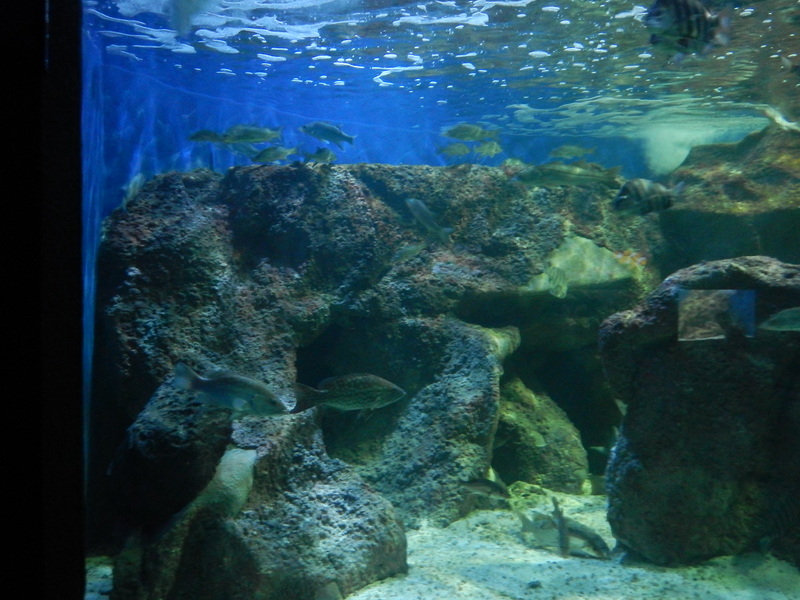 We also visited the city’s modest-sized aquarium. For a city its size, it’s pretty cool that Paranaguá has this place, but coming from Atlanta, which has its own massive, state-of-the-art aquarium, it was really tough to be impressed. 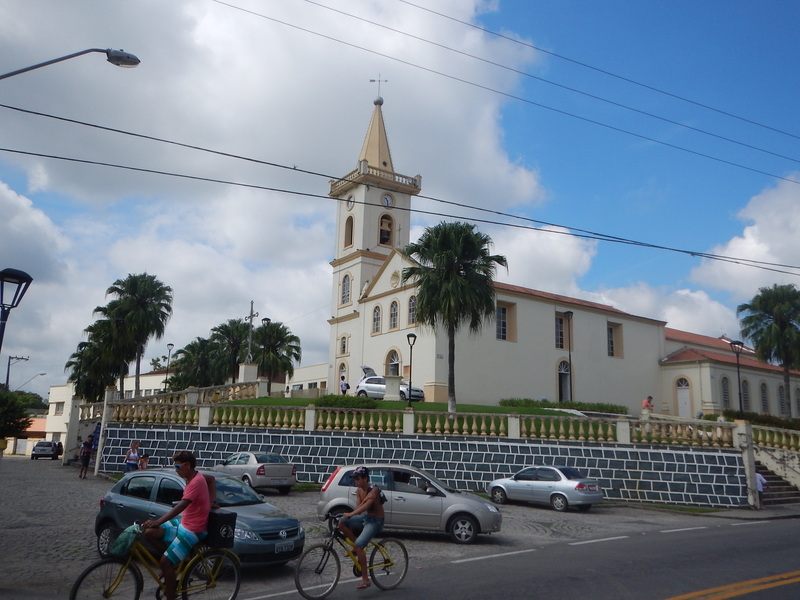 Have you visited Morretes, Paranaguá or other places in coastal Paraná? What were your impressions of the region?